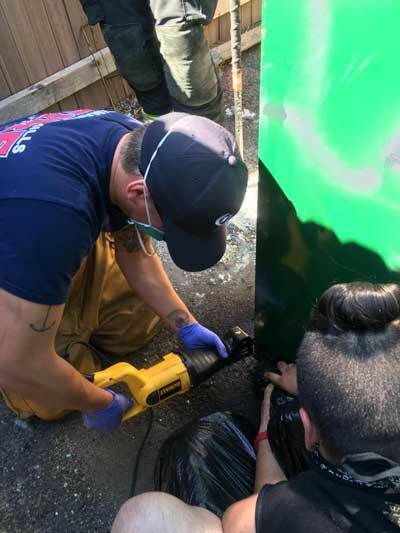 The Cimarron Hills Fire Department in Colorado Springs, Colorado, took part in an unusual rescue mission at the Village East Apartments on Tuesday. 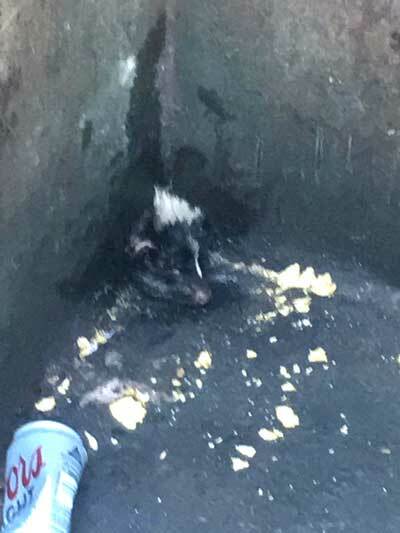 Fire crews spent approximately 45 minutes trying to free a skunk’s head from a drain hole at the bottom of a dumpster. Resident Tasha Lopez said: “I figured it couldn't hurt to call the Fire Department and just see if they would help. 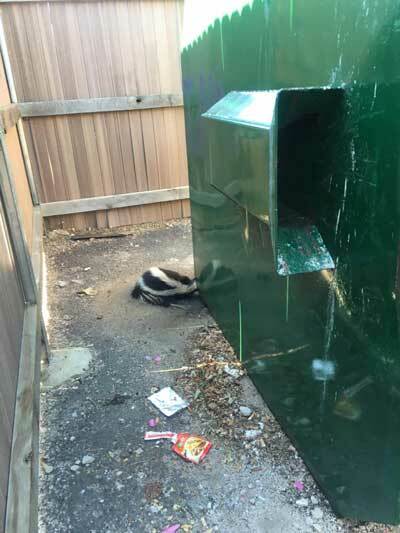 “They sent a crew out to free the poor skunk,” said Lopez. 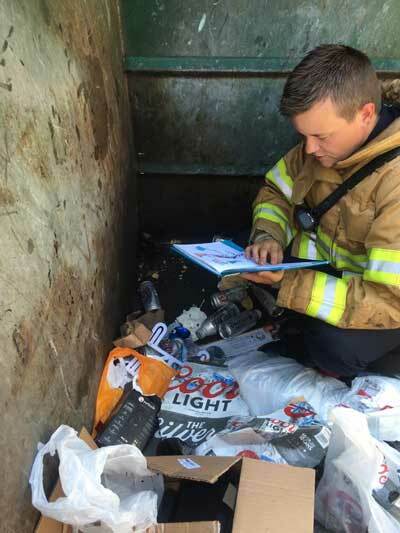 The Fire Department eventually had to call the owner of the dumpster to get permission to cut the hole bigger. 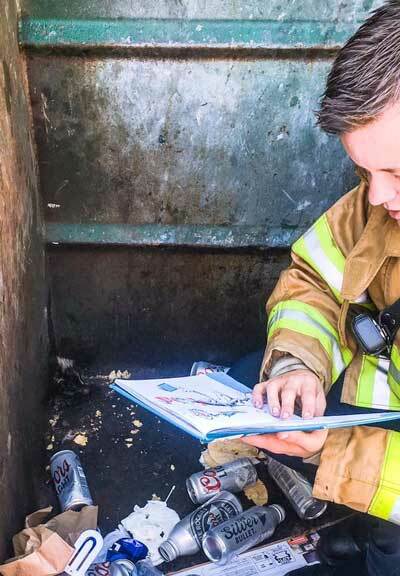 One firefighter kept the little animal calm by reading to it while other firefighters worked to ultimately cut it free. Once the skunk was free it waddled away.